Kosovo's Constitutional Court on Tuesday (10 November) suspended implementation an EU-brokered deal that gives more autonomy for municipalities with a majority Serbian population. Kosovo and Serbia finalised the pact in August, as part of efforts to “normalise relations,” something which Brussels requires them to do if they want to become EU members. The deal would grant the “Association/Community of Serb majority municipalities in Kosovo," or "ASM", the status of a legal entity, and provide the possibility for Serbia to fund them. However, it was heavily criticised by street protesters in Pristina as well as by opposition parties - with tear-gas bombs fired in parliament last month. Following the unrest, Kosovo president Atifete Jahjaga decided to ask the constitutional court whether the agreement is in line with Kosovo's seven-year old charter. The court on Tuesday said that, pending its assessment of the pact, its implementation should be suspended “in order to protect the public interest”. The suspension is valid until 12 January 2016, it said. The EU Commission said on Wednesday: "We don't comment on judicial proceedings." But it added: "We expect the 25 August agreement to be implemented. Both parties are responsible for their part of the implementation work." 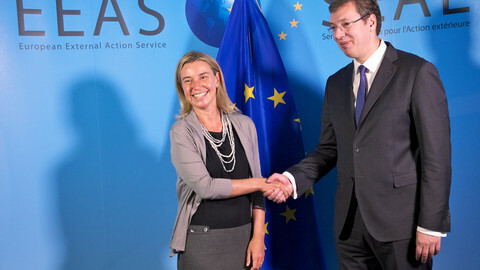 “Pristina is mocking both the international community and the European Union,” Dacic said. 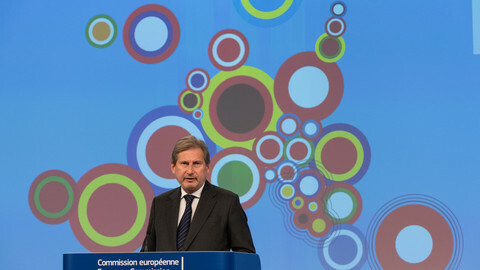 The decision was reached the very same day EU enlargement commissioner Johannes Hahn presented a progress report, in which the commission praised the deal. 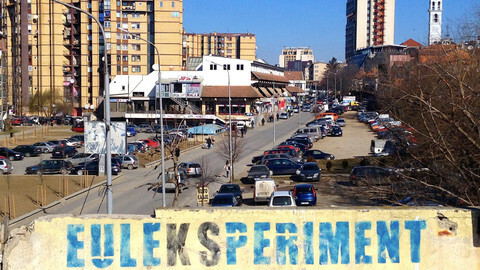 “Kosovo has demonstrated its commitment to the normalisation of relations with Serbia by reaching a number of key agreements in August,” the 2015 Kosovo report says. 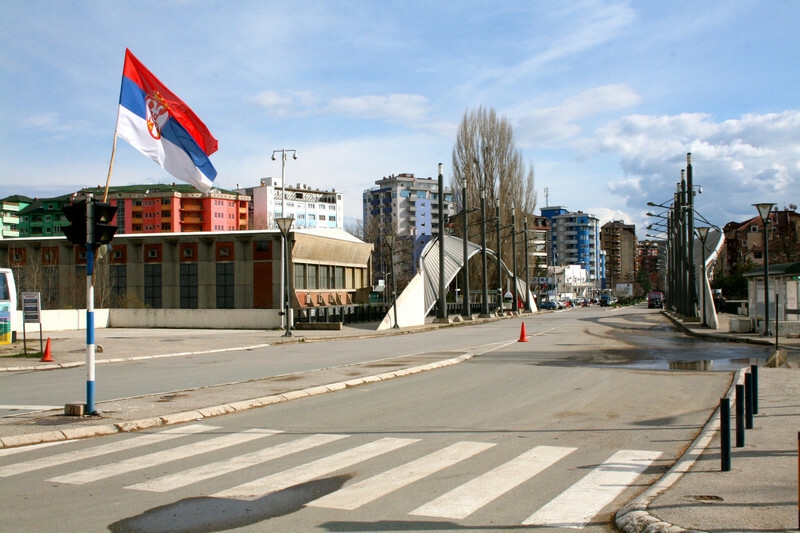 The Serb-majority municipalities deal was one of four agreements reached that month. Just two weeks ago, Kosovo also signed a Stabilisation and Association Agreement with the EU, a political and trade treaty which is a precurosor to EU membership. But the country is still qualified as a “potential candidate”, just like Bosnia. 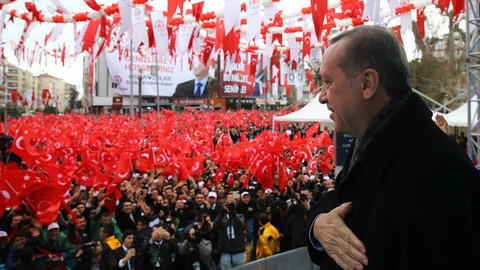 Serbia is already a “candidate country”, although this is no guarantee for a speedy inclusion in the bloc – Turkey has held the status since 1999. 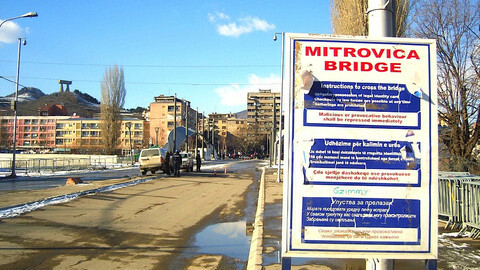 Kosovo is also still struggling for recognition as a state, since it broke away from Serbia in 2008. Five of the EU's 28 member states do not recognise Kosovo as a country, and earlier this week it failed to become a member of the United Nations' cultural heritage body, Unesco. One hundred and eight out of 193 United Nations countries, including the US, do recognise Kosovo as a sovereign state. Serbia is likely to open EU membership talks this year. 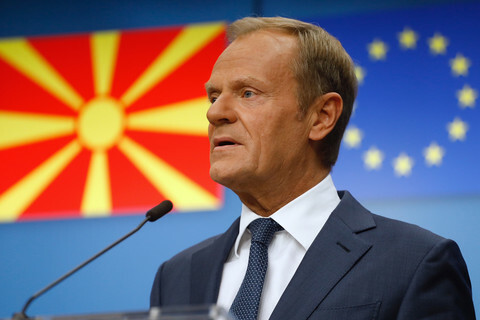 But Macedonia could go backwards due to its political crisis, the EU Commission has said.